Hi, I am really excited about this product, but i keep getting errors when testing it. 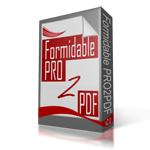 – I get Failed to “load PDF document” when trying to export to PDF under the export tab. Sounds like there are one or more issues with the PDF form. Upload a copy of the PDF form that was uploaded to the plugin to this form so we may take a look at what may be causing the error message and the missing field previews. Regarding the grayed out settings, can you also upload us a screenshot of the plugin’s “Activated Forms” tab?